Bulwell (St. Mary) Churchyard, has been extended several times, and the numbers "1874" and "1891" indicate different extensions by their years. One War Grave, not exactly located, is indicated by a special memorial. There are 5 War Graves in the Churchyard, one of which is for a soldier of the Yorkshire Regiment attached to a Training Reserve Battalion. We are extremely grateful to Richard Roberts (<richard@nosnailshere.co.uk>) who has forwarded the photograph of John Hames' grave in this cemetery. Details of John Hames, and a photograph of St. Mary's Churchyard are below this photo. 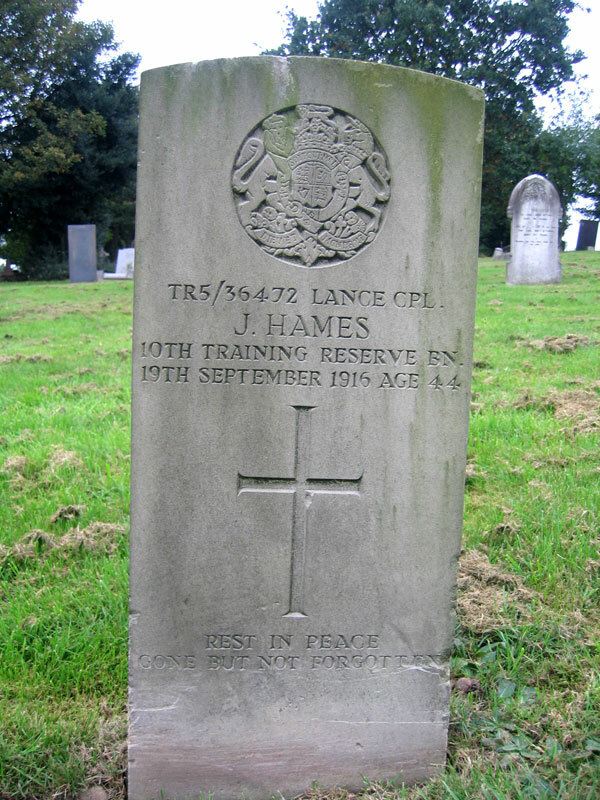 Lance Corporal John Hames, TR/5/36472. 15th Battalion the Yorkshire Regiment, attached 10th Battalion Training Reserve. Son of John Hames; husband of Alice Hames, of 4 Adelaide Terrace, Downing St., Bulwell. Died at home 19 September 1916. Aged 44. (From the Register of Soldiers Effects, John Hames died in Woking. 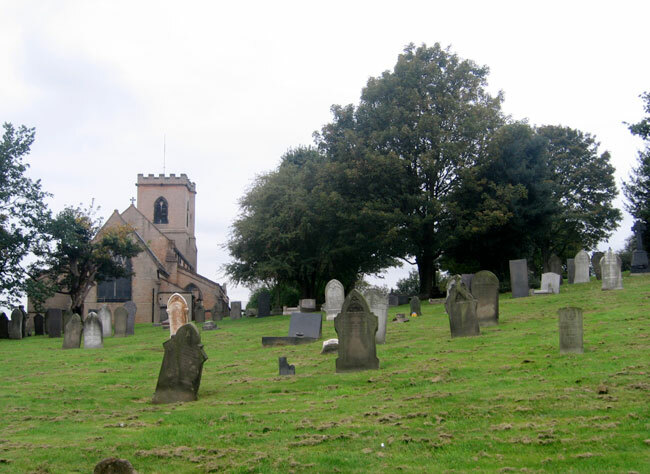 St. Mary's Churchyard, Bulwell (Notts), - Private Hames' grave is on the right.